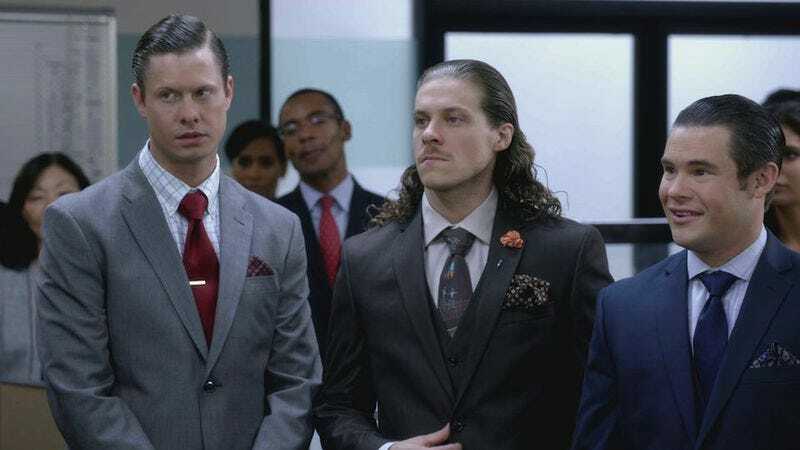 Given how little time their characters spend doing their actual jobs, the creators of Comedy Central’s Workaholics presumably intended their title to be ironic. Six—soon to be seven—seasons later, though, and the show’s proved itself to be a surprisingly diligent and dutiful part of the network’s comedy line-up. The news was presumably inspired, at least in part, by the group’s burgeoning film careers. DeVine has a regular role in the Pitch Perfect franchise, while all four are currently working on an action-comedy movie with Seth Rogen. Comedy Central hasn’t announced an air date for Workaholics’ final season. In previous years, the show has run from January through April or March.